Almost every morning as soon as my 4 year old son wakes up, he goes directly into dinosaur mode. 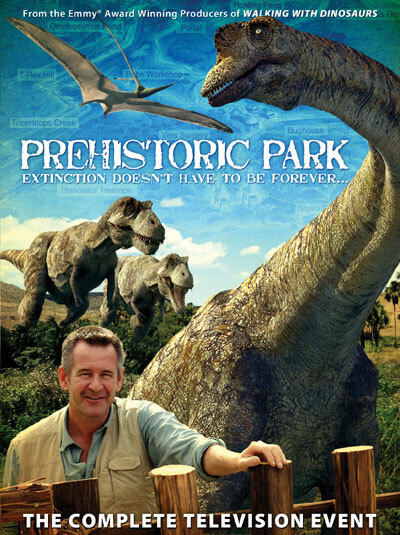 He transforms from a little boy into one of two characters - Nigel Marven, the time traveling star of the English TV series, Prehistoric Park or Dino Dan the main character of the Canadian TV series with the same name that plays on Nick Jr in the US. It could be 6:00 AM and he goes straight into character. If he's Dino Dan, he puts on an American accent so I always know and if he's Nigel, he starts talking about being back in dinosaur times. No matter which character he chooses, it's always too early for dinosaur hunting and yet I find myself playing along more times than not. The thing is I can use this characters to my advantage. I say things like, 'If you're Nigel, then you can definitely get yourself dressed (my newly 4 year old has trouble getting dressed on his own). He takes the clothes (unfortunately, usually a yellow shirt and khakis because that's all Dino Dan wears and it's now Ethan's every day uniform - even if he is Nigel) and starts getting dressed saying things like, 'I can get dressed all on my own because I'm a grown up.' If I want him to go use the bathroom and he's Dino Dan, I tell him 'Since you're 10 years old, surly you can get yourself on the toilet.' He says OK and runs for the bathroom (any other time he says he needs help). 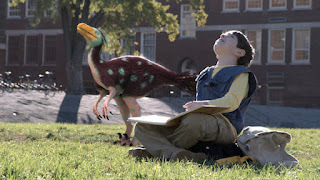 Oh my gosh, we watch Dino Dan every single day, and my son now digs our yard every day looking for dinosaur bones, and talks non stop about dinosaurs! They don't play Dino Dan here so I had to download every episode on iTunes so Ethan could watch it. 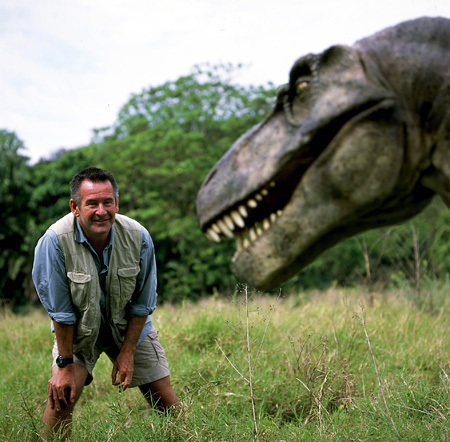 He's absolutely nuts about dinosaurs and It's shocking how much he knows. He knows countless species and even what period they lived in! 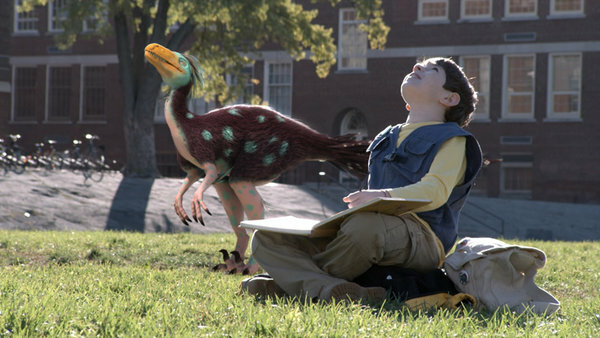 Does your little one dress like Dino Dan? I had to get Ethan yellow shirts for his bday because it's all he'll wear.